For the Cambridge: First For Schools [formerly FCE] writing exam, you might be asked to write a story in 140-190 words. Here’s an example below with some tips on what to consider when writing your cool story. Cambridge have changed the format for the First Writing Exam. Cambridge First For Schools includes story writing, but Cambridge First (ie the general adult version) includes writing an essay, email/letter, a report or a review. Not a story. Check with your teacher or exam centre if you’re not sure which exam you’ll be taking. Here is an example. Do you think it’s true..? So I kept on eating. I should have known that something was up when I felt a little dizzy. On the tram I felt faint. Things got worse when the tram was re-routed about 5 minutes’ walk from the school. Damn. As I was getting off, a girl came up to me. I thought it was Pavla, a student of mine, joking about her absence the week before. “But..you taught me 5 or so years ago. Don’t you remember?” Now I was delirious. But I did remember, slowly. It wasn’t Pavla. Looking a little perplexed, Aneta pointed in the direction of the school. Then she smiled and walked away. What did you think? Yes, this was a true story! In the end I had food poisoning! After a day or two at home, I remember going back to my other place of work and my boss was very sympathetic with my situation until I told her I was the one who did the cooking, not some dodgy restaurant! Anyhow, you definitely won’t get a topic like “the day I got food poisoning.” Instead, it’ll be a more general topic. You will get asked to write a story based on a general theme or common experience. The exam question may give you the opening or closing sentence or ask you to write about a true event. Likewise, the question may ask you to be creative. 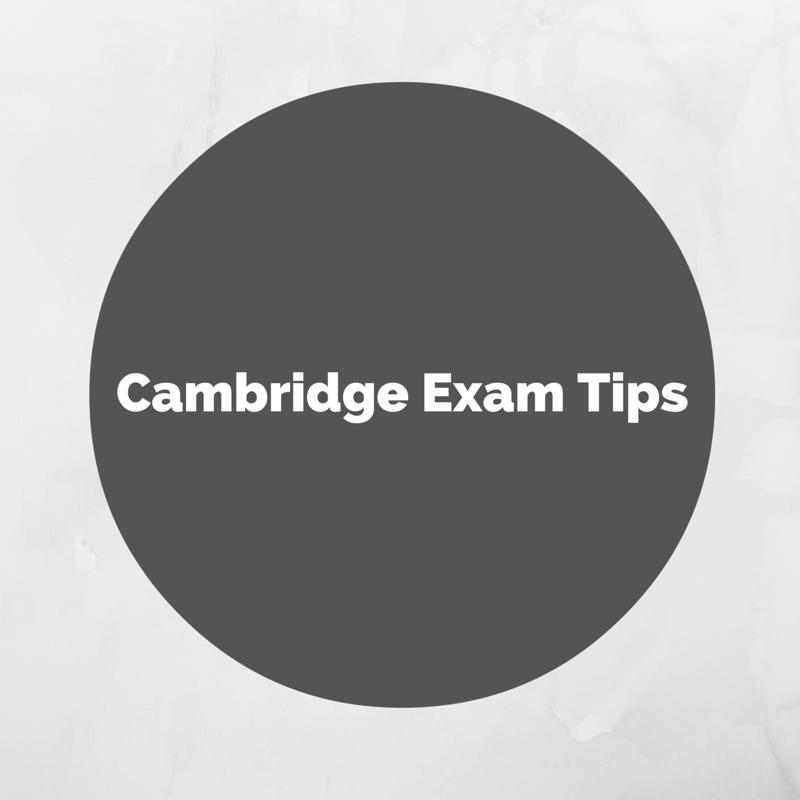 Cambridge don’t want you to copy out a story but if you do a few good pieces of writing during the year, you might find that one of them may suit one the topics in the exam. In any case the most important thing is to answer the question! PLAN your answer. Spend a few minutes and write down what you’re going to say in each paragraph. Check the question and make sure you know what the question is asking you to do. In the example of a story, is it giving you the first sentence or the last? Should it be a true story from your childhood or fiction? As part of making sure you understand the question, underline the key words. Go over your story and check for any common mistakes you might be aware of (eg missing articles, spelling, missing prepositions, punctuation). Use paragraphs. Planning will help you decide what should be in each paragraph. AVOID writing a messy story with arrows all over the place – I’ve seen some students do this and it makes the story harder to follow! Write a story which sounds INTERESTING. It can be something funny or where you learnt an important lesson. It should have some kind of point to it. You’ll be marked on your range of grammatical and vocabulary/lexical structures, so be sure to practise these in any FCE preparation course you are doing. Use some linking words and time phrases to ‘signpost’ where your story is going. 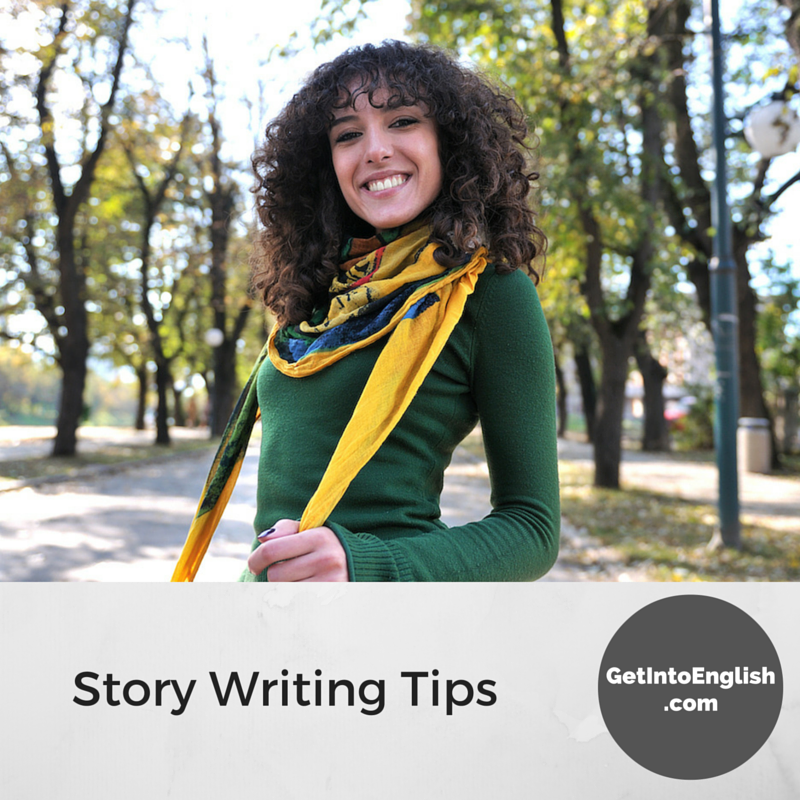 ie to show you are writing an organised story use expressions such as: as soon as; after that; that’s when I…; not long afterwards; some time later. Stay within the word limit or as close as you can. Include a title for your story. Finally don’t be afraid to show some of your personality! I’ve met many Czechs who don’t wish to write much about themselves or who don’t wish to give any ‘personal information.’ First, you can make things up! Second, try to show a little of who you are – isn’t that why you’re learning a language? What next? Now it’s your turn! Hello, David, very nice post! Here is my main problem: ■Go over your story and check for any common mistakes you might be aware of (eg missing articles, spelling, missing prepositions, punctuation). I’m improving little by little, but I still have problems with prepositions, punctuation and word/verb order. I saw you wrote on your blog about ‘reading to be a good writer.’ It’s hard to measure but can you see how reading has improved the way you write your own stories? Re: going over common mistakes, do you keep a notebook of the things to look out for? I have one student who is really good at remember which mistakes he makes, and he goes over the feedback I give him at home. It does require some discipline but I am impressed by how much this student picks up and how he can correct himself. it is a perfect article about writing story.thanks for your tips. This article is great, thanks. It is helpful. Thanks for popping in, Salome!